Linda Davis Friedland is an attorney in our Livonia office where she concentrates her practice on elder law, guardianships, conservatorships, wills, trusts, estate planning, probate administration, trust administration, and litigation in probate court. She also handles matters involving business law, business succession planning, commercial litigation (UCC), contract disputes, shareholder disputes, employment and labor law. Linda Davis Friedland is an attorney in our Livonia office where she concentrates her practice on elder law, guardianships, conservatorships, wills, trusts, estate planning, probate administration, trust administration, and litigation in probate court. She also handles matters involving business law, business succession planning, commercial litigation (UCC), contract disputes, shareholder disputes, employment and labor law. As part of her business law practice, she defends creditors against lawsuits filed by aggressive bankruptcy trustees. Ms. Friedland is a member of the Probate & Estates and Elder Law sections of the State Bar of Michigan, and she provides continuing education training to attorneys, accountants, and financial planners in the areas of estate planning, probate, trust administration, and tax law. “Guns in the Workplace,” CPCU-RIMS, regarding the rights of business owners, employers and employees with respect to firearms in the workplace, from a risk management perspective, January, 2017. “Factors to be Considered when Determining Whether to Use Credit Shelter Trusts in this New Era of Portability,” Lorman Educational Services, September 2014. 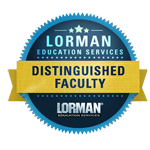 “Conduit Trusts as Beneficiaries to Retirement Assets,” Lorman Educational Services, September 2014. “Guns on Campus,” Michigan Community College Management Authority, regarding Michigan firearms laws and best practices for public safety officers, March 2013. Siegner v. Salem Township et als, (Case No. 14-11579, U.S. District Court, E.D. Mich. 2015). Plaintiff, a Salem Township firefighter, sued Salem Township, five former and current Trustees, and the Fire Chief, under Title VII of the Civil Rights Act of 1964 and Michigan’s Elliott-Larsen Civil Rights Act (ELCRA). Plaintiff sought $1,020,000.00 in damages and had two witnesses testifying on his behalf. Salem Township’s Motion for Summary Judgment was granted. Harris v. Peterson Machine Products Corp., et als, Case No. 07-13638, U.S. District Court (E.D. Mich 2007); (Matter spanned from 2007 to 2014). Obtained a default judgment on behalf of the plaintiff, a retired former employee, under ERISA in the amount of $80,804.18, against defendant company and its owner, who had absconded with the defendant company’s pension assets. Drained the owner’s bank accounts three times, collecting a significant portion of the default judgment, while working with the FBI to find the pension assets. Once the pension assets were found, worked with the Pension Benefit Guaranty Corporation to obtain pension benefits for plaintiff, who was then made whole. McTevia & Associates v. DTE Energy Company, (In Re: Blue Water Automotive Systems, Inc., Case No. 08-43196-MBM; U.S. Bankruptcy Court, E.D. Mich 2010). Successfully defended DTE Energy against a bankruptcy preference action filed by an aggressive liquidation trustee. Result: DTE’s Motion for Summary Judgment was granted. Van Conant v. Yolanda Bastianelli Trust, (Case No. 2008-727481-CZ, Wayne County Probate Court 2008). Successfully defended the Trust against a lawsuit by a creditor seeking $252,000.00 for alleged caregiver fees. After a year of extensive litigation, the Trust’s Motion for Summary Disposition was granted. N.M. Holdings Company, LLC v. First Energy Solutions Corp, (U.S. Bankruptcy Court, E.D. Michigan 2006). Successfully defended First Energy against an avoidable preference lawsuit filed by the Trustee. First Energy was allowed to keep all funds received during the 90-day preference period, a savings of over $126,000.00. N.M. Holdings Company, LLC v. Cleveland Electric Illuminating Company, (U.S. Bankruptcy Court, E.D. Michigan 2006). Successfully defended Cleveland Electric against an avoidable preference lawsuit filed by the Trustee. Cleveland Electric was allowed to keep all funds received during the 90-day preference period, a savings of over $202,000.00. Numerous Bankruptcy Matters for DTE Energy Corporation. Successfully defended DTE Energy against avoidable preference claims, allowing DTE Energy to retain the funds it received during the 90-day preference period. Prevented Bankruptcy Court from pulling invoices for post-petition electric service into then pending Chapter 13 Plans. Obtained Orders of Non-Dischargeability for fraud claims, so that DTE Energy could continue to pursue its claims after bankruptcy. Weber and JEVIC Enterprises, Inc. v. Dodge County Planning and Development Department, 231 Wis. 222; 604 N.W. 2d 297 (1999). Successfully represented developers Jeffrey Weber and JEVIC Enterprises, Inc. before the Wisconsin Court of Appeals. Obtained a reversal of adverse decisions from the Dodge County Circuit Court and the Dodge County Planning and Development Department regarding a final subdivision plat. Landscaping Company v. Insurance Agency, Wayne County Circuit Court (2012). Filed a lawsuit on behalf of the Landscaping Company against its insurance agency, for having misrepresented the terms of its Commercial General Liability policy. Obtained witness testimony from other landscaping companies who had been provided the same misrepresentation by this insurance agency. Fully prepared for Case Evaluation, and obtained a very favorable result. Settled for the amount of the Case Evaluation award in a confidential settlement agreement. Result: Client made whole without the necessity of a trial.